The Taoiseach, Enda Kenny, has officially announced he will step down during the next term of government if Fine Gael retains power in the general election due in the next eight months. Mr Kenny was forced to respond after the Government chief whip, Paul Kehoe, suggested the Taoiseach was intending to stick around for far longer. 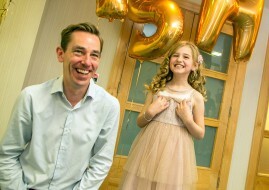 The Taoiseach said Mr Kehoe used “a lot of poetic licence,” in saying he [Mr Kenny] would serve another full term and lead Fine Gael into the election after next ­– which would not be due until 2021. “It would be very arrogant and presumptuous of any public representative to assume that they can be elected to anything, myself included, until the people vote,” said Mr Kenny. 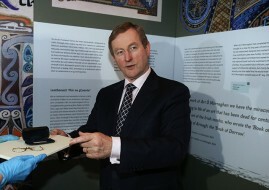 Mr Kenny said his priority was to get the country back to work. He said it was his intention to win the upcoming election and lead another Fine Gael/Labour government. 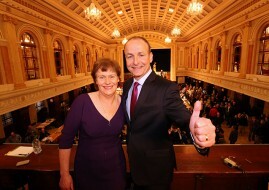 If he manages to win a second term in power he will be the first Fine Gael leader to do so. The view in the party is if he wins another term Mr Kenny will stand down sometime in 2018. Some Fine Gael politicians were reportedly astonished at Mr Kehoe’s comments and thought they could be politically damaging to the party. If Fine Gael does not win the forthcoming election, party rules say there will be a leadership contest immediately afterwards.